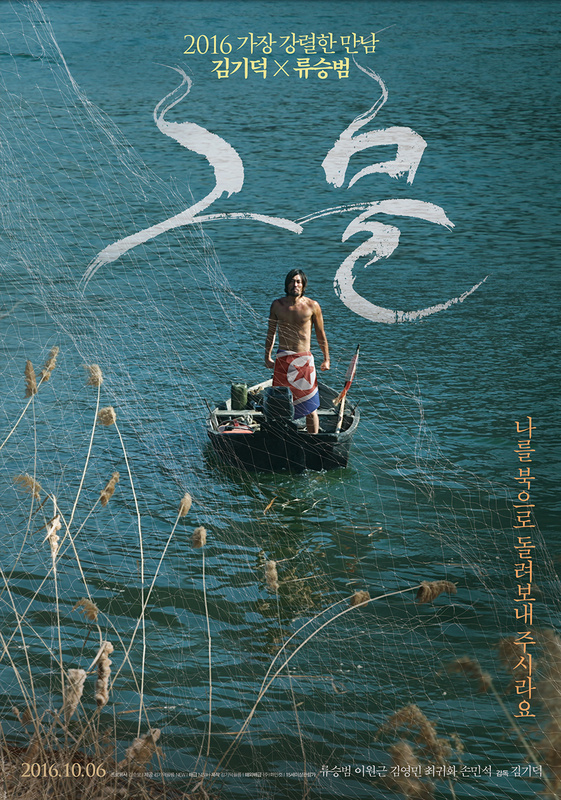 Main trailer and poster added for Kim Ki-Duk‘s latest film “The Net” starring Ryoo Seung-Bum. “The Net” had its world premiere at this year’s Venice Film Festival and will have its general premiere October 6, 2016 in South Korea. Tsubasa Honda is cast in upcoming NTV drama series “Pretty Proofreader” starring Satomi Ishihara & Masaki Suda. For the drama series, Tsubasa Honda plays Toyoko Morio. Her character was a junior of Etsuko (Satomi Ishihara) back in high school, but she now works as an editor of a fashion magazine. Also cast in supporting roles are Munetaka Aoki, Goro Kishitani, Masato Wada, Noriko Eguchi, Hiromasa Taguchi & Rika Adachi. “Pretty Proofreader” first airs October 5, 2016 in Japan. 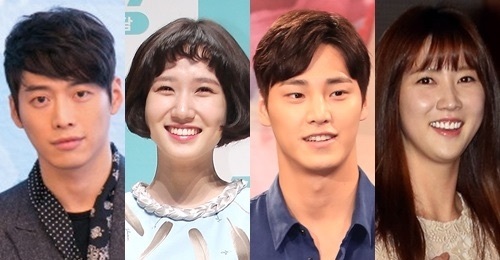 Kim Jae-Won, Park Eun-Bin, Lee Tae-Hwan and Lee Soo-Kyung are all cast in upcoming MBC weekend drama series “Father, I’ll Take Care of You” (literal title). In the upcoming drama series, Kim Jae-Won plays Lee Hyun-Woo. He is the CEO of an investment company and works as a manager of an apartment building construction site. He has been waiting to take revenge for his entire life. Park Eun-Bin plays Oh Dong-Hee. She works under a slave like condition as a writer helper. Her older brother gives her a hard time over a secret involving her birth. Lee Tae-Hwan plays Han Sung-Joon. He works as a director for an entertainment company. His job is to read TV drama scripts from all over Asia. He is a faithful and handsome man. Lee Soo-Kyung plays Han Jung-Eun. She has multiple jobs like travel writer, singer, songwriter, guitarist, cafe owner and radio show script writer. “Father, I’ll Take Care of You” will first air this November in South Korea (takes over MBC’s Saturday and Sunday 10PM time slot after “The Flower in Prison“). Main trailer added for upcoming movie “My Uncle” starring Ryuhei Matsuda & Yoko Maki. Movie is directed by Nobuhiro Yamashita and set partially in Hawaii. “My Uncle” will be released November 3, 2016 in Japan. Teaser trailer added for upcoming action-crime film “Master” starring Lee Byung-Hun, Gang Dong-Won & Kim Woo-Bin. Movie is directed by Cho Ui-Seok (“Cold Eyes“). In addition, movie “Master” is now slotted for release sometime this December in South Korea. 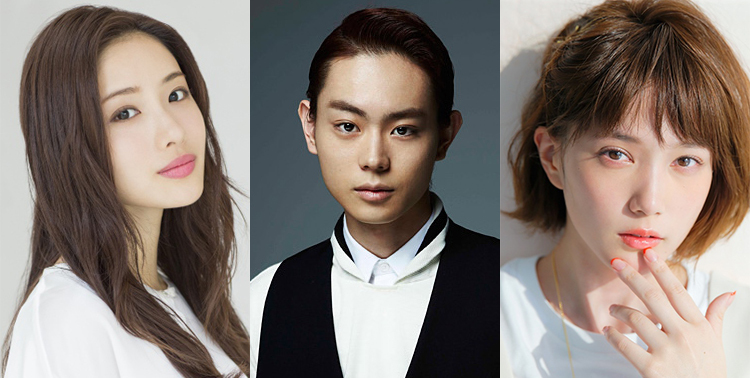 Takumi Kitamura, Minami Hamabe, Shun Oguri & Keiko Kitagawa are cast in upcoming movie “I Want to Eat Your Pancreas” (literal title). The movie is based on 2015 novel “Kimi no Suizo wo Tabetai” by Yoru Sumino and directed by Sho Tsukikawa (“Kurosaki kun no Iinari ni Nante Naranai“). In the movie, Takumi Kitamura and Shun Oguri will play the same character. Takumi Kitamura will play “I” as a high school student in the past and Shun Oguri will play “I” in the present days. Minami Hamabe will play Sakura Yamauchi. As a high school student, she wrote a diary in which she reveals she is suffering from a pancreatic disease and “I” finds the diary. Keiko Kitagawa will play Kyoko. Filming for “I Want to Eat Your Pancreas” began September 10, 2016 and the movie will be released sometime next summer in Japan. Main posters for upcoming tvN drama series “The K2” starring Ji Chang-Wook, Song Yoon-A & Yoona. In addition, main trailer for ep.1 of “The K2” has been added at AsianWiki. Bodyguard action … “The K2” first airs September 23, 2016 in South Korea. Uee from Kpop group “After School” has been offered the lead female role in upcoming MBC drama series “Night Light” (literal title). If she accepts the role, Uee will play Lee Se-Jin. Her character’s parents died when she was little and she grew up poor. An incident causes Lee Se-Jin’s life to change. Currently, Uee is “positively considering” the offer. “Night Light” is scheduled to air beginning this November in South Korea (takes over MBC’s Monday and Tuesday 10PM time slot after “Woman with a Suitcase“). Here’s new ep.6 still images from currently airing SBS drama series “Moon Lovers: Scarlet Heart Ryeo” starring Lee Joon-Gi, IU and Kang Ha-Neul. The still images are of Lee Joon-Gi, IU and Kang Ha-Neul. The scene from the still images has Hae-Soo (IU) potentially becoming a sacrificial lamb in an arranged marriage. Wang So (Lee Joon-Gi) and Wang Wook (Kang Ha-Neul) try to save her. Ep.6 of “Moon Lovers: Scarlet Heart Ryeo” airs later tonight in South Korea. The films are now set for release March 18, 2017 & April 22, 2017 respectively in Japan. Also new supporting cast actors announced for the film are Issei Takahashi, Ryo Iwamatsu, Shigeru Saiki, Tomoya Nakamura, Hiroyuki Onoue, Eita Okuno, Masahiro Komoto and Yuka Itaya. 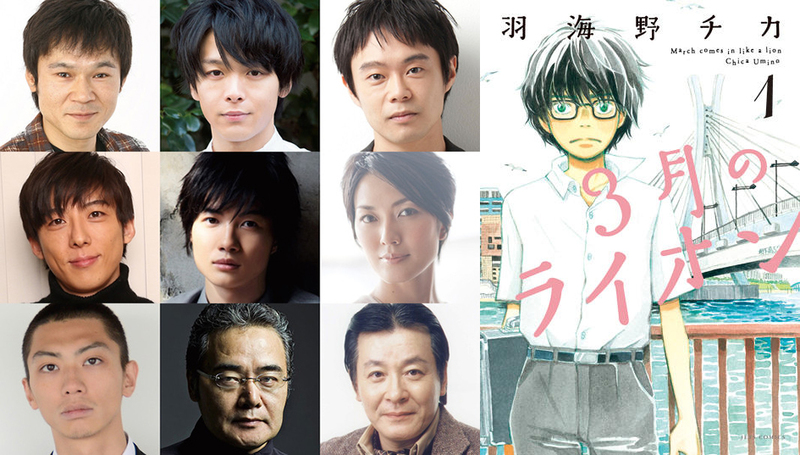 Both films are based on manga series “San gatsu no Lion” by Chica Umino and stars Ryunosuke Kamiki.